Welcome to Marketing's morning briefing, a daily shot of news and a recap of the best longer reads and videos. In today's news, Morrisons sells off its M Local stores, Argos sales fall again, and Britain's brewery numbers surge. 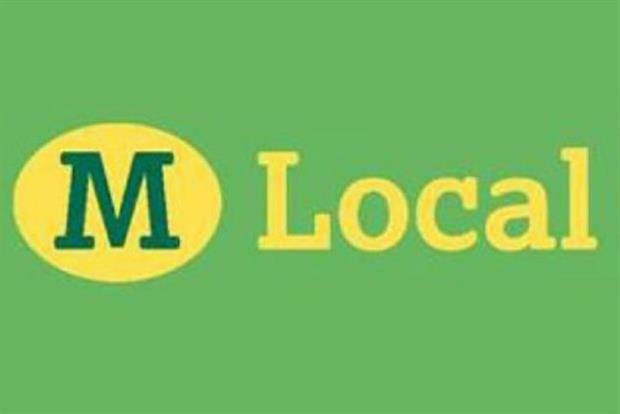 Nearly 150 of the M Local stores launched by Morrisons will be rebranded as My Local as the result of their £25m sale to a company led by retail veteran Mike Greene. The deal, announced yesterday, ends the supermarket chain’s attempt to break into the convenience store sector, which was started in 2011 under former chief executive Dalton Philips. The new owners of the stores, Greybull Capital, have committed to making no redundancies from Morrisons’ 2,300 convenience store workforce. Morrisons, which will make a £30m loss from the sale, is retaining five M Local stores that will be converted to Morrisons supermarkets. Morrisons chief executive David Potts said: "We remain open to other opportunities in convenience in the future." Separately, Morrisons announced with its financial results this morning that it would close 11 stores with the potential loss of 900 jobs, after a 47 per fall in pre-tax profits to £126m. Home Retail Group' latest financial results showed sales at Argos fell again in its second quarter as weak demand for electricals such as TVs and tablets persisted. Argos saw sales at stores open over a year fall 2.8 per cent in the 13 weeks to 29 August, better than a 3.9 per cent first quarter decline. Home Retail Group had already warned in Aprix that first half Argos sales would fall due to weak demand and falling prices in some categories as it works to revamp the business. The number of breweries in the UK has surged to levels not seen since the 1930s, according to the Campaign for Real Ale (CAMRA). After more than 200 opened in the past year, there are now 1,424, accounting for 80 per cent of the beer sold in the UK. The number of beer trademark registrations has likewise risen by 12 per cent to 1,485.